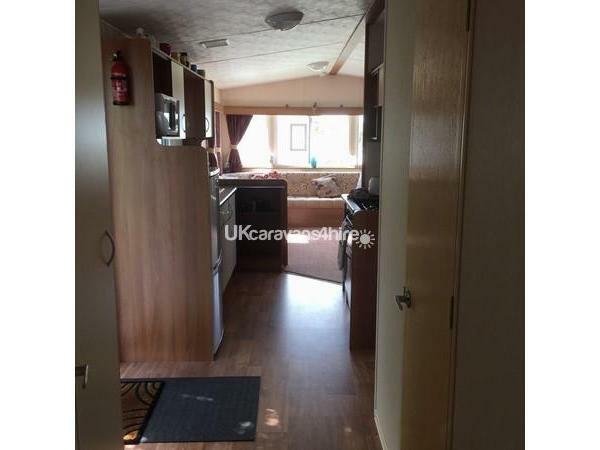 Additional Info: This is a very spacious 8 berth caravan with DG, Central Heating, 3 Bedrooms, Ample Seating Area, Large Bathroom, Addition Toilet, Outside decking with outdoor furniture on a very quiet, secluded part of the Sycamore Close.The caravan has a Travel Cot and High Chair at no extra cost. 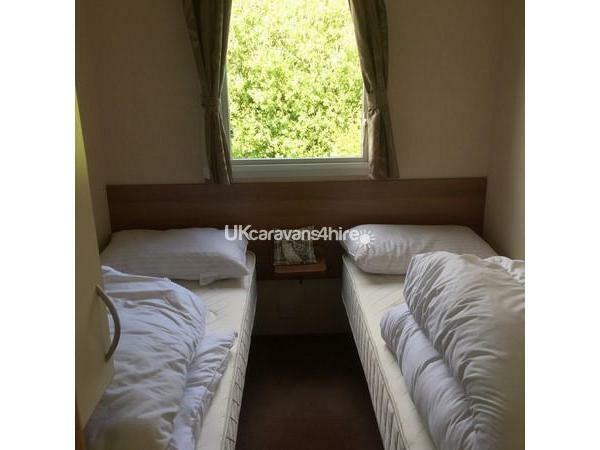 To book I would require a £50 non refundable deposit with the balance due 6 weeks before holiday commences. Please advise if you need any special requirements, hire travel cot, high chair or anything that I need to know about. 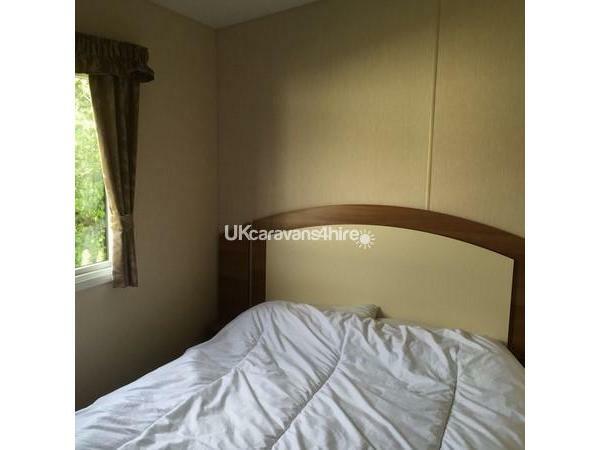 Our caravan is situated on a very secluded, quiet spot on the Sycamore Close, this caravan has an outside decking with outdoor garden furniture. 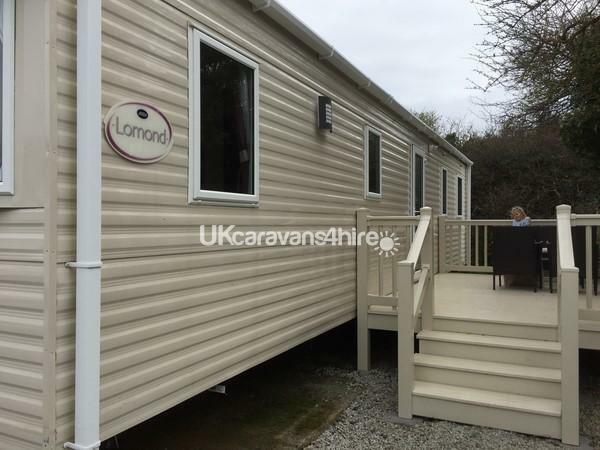 The caravan sleeps 8 people and is double-glazed and centrally heated with an additional electric fan heater/pebble stone effect fire in the living room for extra year round cosiness. 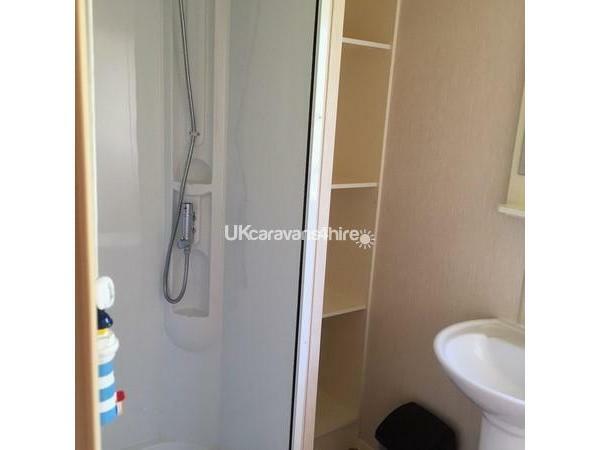 There is a large bathroom with shower, storage space and a Toilet. There is also an additional toilet for extra convenience. The Decking area has outdoor garden furniture. 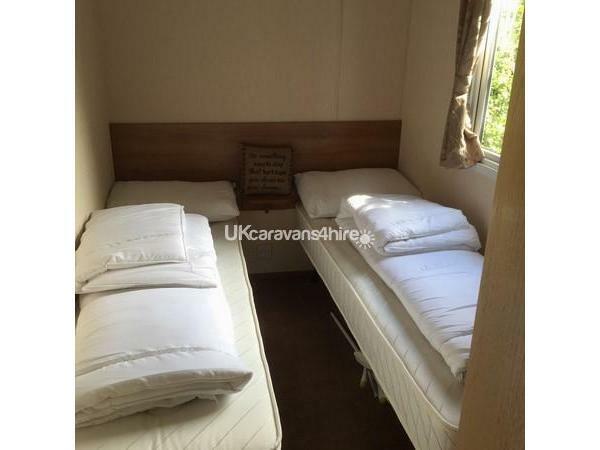 The caravan has the use of a high chair and travel cot free of charge, but please advise when booking that you want to use these. No reviews found. 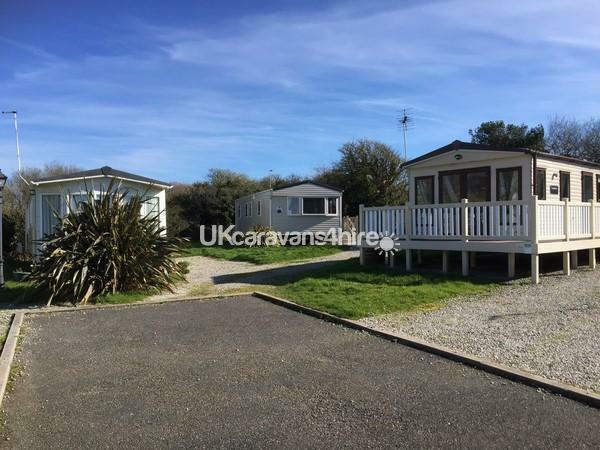 If you have recently stayed in this holiday home please leave a review, it only takes a few moments and will really help future guests when they are searching for holiday accommodation at Mullion Holiday Park.